You will arrive in Johannesburg in South Africa where you will be met and transferred to your accommodation for the night. The next morning you be returned to Johannesburg Airport for your international flight to Kasane in Botswana. I will be waiting there to help with the formalities and the transfer to our first riverside accommodation. Chobe Safari Lodge is nestled on the banks of the Chobe River with unspoilt views of the islands and floodplains and this beautiful lodge will be your base for exploration and wildlife encounters. For two days you will explore Chobe National Park both by four wheel drive vehicle and by boat so you will have the advantage of seeing the prolific wildlife from every angle. When we leave Kasane it is only a relatively short drive to the neighbouring country of Zimbabwe and the adventure capital of Africa, Victoria Falls town and the waterfall that it is named after. For three days you will immerse yourself in the wonder of The Falls and taking up as many challenges as you would like to encounter. Whether it be testing yourself in the highest rated white water rafting in the world or making a ‘leap of faith’ into the Batoka Gorge 180 metres below you will not run out of opportunities for adventure. Combine these adrenalin activities with the power of the natural world in the form of The Falls themselves or even a chance to ride an elephant on safari or walk with lions and your days will be filled with adventure and life changing spectacles. From Victoria Falls we will fly by special charter flight across the northern wilderness of Zimbabwe to the vastness of Lake Kariba. This huge expanse of water is home to a myriad of wildlife, spectacular scenery and great fishing, for those so inclined. This is where our “Water Wilderness Safari” really kicks into gear as we will spend the next three nights on a magnificent houseboat cruising the lake and looking for wildlife, hidden rivers and secret coves. The houseboat is nothing like you will have encountered before as it is huge, has three levels and is fully crewed by captain, cook and deck hands. This is not the “Africa Queen” but a much more luxurious experience but no less exciting. After three days exploring the vastness of Lake Kariba we will once again have the special treat of being flown across some of the most isolated and stunning wilderness left in Africa, our destination is Chikwenya Safari Lodge in the World Heritage Mana Pools National Park. Remote, visually stunning and situated on the banks of the famous Zambezi River, Chikwenya is literally Africa’s “Garden of Eden”. The area around Chikwenya abounds with wildlife and you will have every opportunity to encounter as many of these creatures as possible. Not only will you have the chance to game view by specially designed four wheel drive vehicles and by boat but you will be taken on walking safaris by some of the best guides in Africa. This is truly a fitting way to finish an adventure safari and for those so inclined you will have ample time during our three night stay to even try to catch a legendary Tiger Fish if you haven’t already done so at Lake Kariba. It will be hard to say goodbye to Mana Pools and Chikwenya but another special feature is that we will again be taken from the wilderness by special charter flight that will land at Chikwenya airstrip and take us back to civilisation in Harare. We will have two nights in Harare so you spend the next day exploring and picking up any special presents or curios you may need to take home. Unfortunately it will eventually be time for you to fly home and to marvel at the adventure in which you just participated. 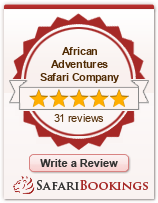 If you have not had enough adventure and wildlife encounters then you may also like to participate in part of, or all of, the next safari that leaves form Harare the next day – The World Heritage Wonders Safari. 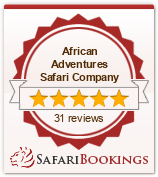 ASK ME ABOUT A SPECIAL OFFER FOR DOING THE TWO SAFARIS.